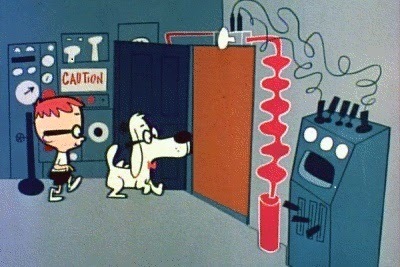 Mr. Peabody's WABAC machine was far more versatile than mine. My Wayback Machine is stuck. It has four triggers, all of them popular songs from the second half of 1984: Stevie Wonder's "I Just Called to Say I Love You," the Cars' "Drive," Chicago's "Hard Habit to Break," and Wham!s "Wake Me Up Before You Gogo." Just a few beats of any of those songs, and I'm transported back to the driver's seat of my first car. It's a brown 1978 Celica GT, and I've only owned it for two months. I'm heading home on I-84 to my apartment in LaGrande from the tiny hamlet of North Powder. I've been struggling with my first teaching job, finding the reality of junior high and high school music is nowhere near what I'd hoped it would be, though the elementary teaching shows promise. More than the students, I'm finding the principal/superintendent almost impossible to manage. I'll be out of this job in a few weeks; he'll last another year or two, then take his administrative ineptitude to another district. It's a scary time for me: in this pre-internet world, I'm completely isolated, hundreds of miles and a long-distance call from family, in touch with my college friends only by mail. Everything I'm experiencing is new to me: apart from the car, I'm in my first apartment, my first job, belonging to a church by choice (rather than having my membership automatically moved along with my ministerial father) for the first time, buying my own groceries, purchasing my own color TV with my first (store) credit card--and also losing that first job, then having to figure out what to do with my life for the first time. And the soundtrack of this, my true coming-of-age, is those four songs, because I don't yet have a tape player in my car, there is only one radio station in LaGrande, and these songs are in constant rotation that fall. I have nothing else to listen to on the half-hour drive to and from North Powder. It's even on TV: there are only a dozen channels on cable, and when there's nothing else on, I occasionally spend a few minutes with just-launched MTV, which has few videos besides "Gogo" and "Drive" to show me. With all the lonely trauma I'm enduring, I find "Drive" soothing, and find inspiration in the "Choose Life" vibe of "Gogo." "I Just Called" and "Hard Habit," on the other hand, are just impossible to get away from. With these four songs coming at me from every direction, I grow up. I learn more about being an adult during this four month span than in five years of college and grad school. The precedents I set for myself will see me through two divorces, two career changes, nearly losing a baby, job losses, defeats, failures, and much more. In LaGrande I learn to put the broken pieces of my life back together. And I do it to this soundtrack. There are other songs I associate with watershed times in my life, but none of them is as connected with the calendar as these four. Even though they are, in many ways, of debatable quality--"I Just Called" is, without a doubt, the worst hit Stevie Wonder ever recorded--they are more significant to me than anything else to chart in the top 40, before or since. I expect it's the same for you. And I'm curious. For once, I'm soliciting comments, either directly beneath this blog, or on Facebook, if you got here from there. What songs are your own personal Wayback Machine, and what time in your life do they send you to? Are you embarrassed by your response to them, or happy to embrace them? Let's get a thread going, and see what we can learn about each other.